Have you started making healthy food choices, but are confused about how to cook these new foods? Are you wondering how to pull it all together? If you’ve started along a life-enhancing path, you may have some questions about how to cook wholesome, delicious meals for your family. In this article, we’ll explore ways to overcome your concerns about cooking. A dish will go only as far as the ingredients used. Your taste buds and sense of smell will help you discern whether you are using the best ingredients. Fresh vegetables that are organic and locally grown not only taste and smell good, they also look vibrant and alive. Taking shortcuts, like using processed and imitation ingredients, make your dish look and taste artificial and lifeless. The natural approach applies to whole healing as well. Unlike processed foods, fresh ingredients have more nutrients and life force energy that help support organ function. By setting aside half an hour each day for food preparation, you create an intention to respect the food in a more loving way. The chef’s mental and emotional states affect the outcome of the cooking process. The stress of rushing through food preparation imparts agitating energy not only to your family but also to the dish you are cooking. Cooking is a sacred activity and must be treated with loving energy. Preparing food with love sets the tone for the meal, which brings peace to whoever eats it. Cook foods that you like. 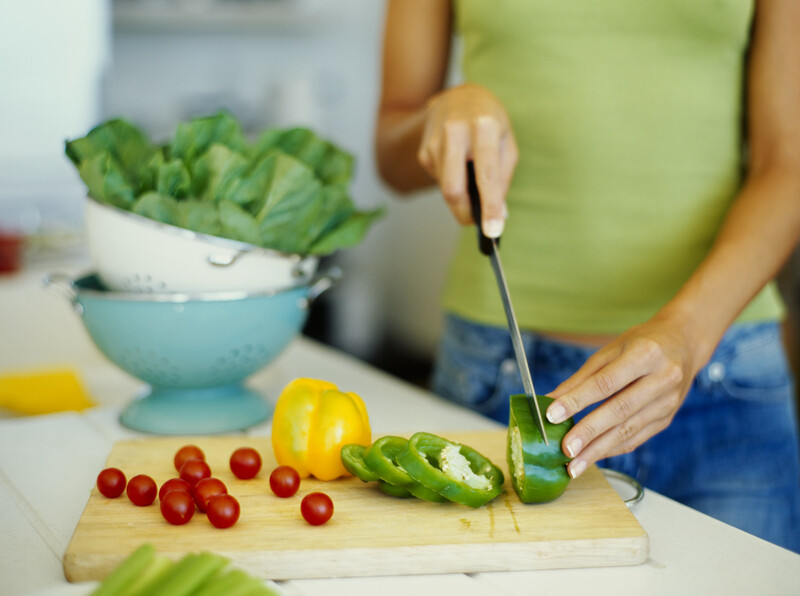 We all enjoy eating foods that we like, and cooking these foods makes sticking to a healthy meal plan more enjoyable. Trust yourself to experiment with seasonings and herbs. When you try out new flavors, your curiosity and sense of wonder are stimulated. Like children, we can “play” with our food and come up with new flavors that enhance the dish. Share your food with others. Taking pride in what you accomplish is the fuel for future endeavors. When you share your joy of cooking, you’ll feel good and will want to continue to spread the love. Also, friends who taste your dishes will ask you about the ingredients, encouraging you to develop your knowledge about the food and the cooking process. Cooking is more than just combining ingredients together on a plate. A healthy meal is symbolic of the loving energy the chef contributes to the food. By understanding this, you can transform your meals from ho-hum to Hallelujah! Categories: All, energy, health, love, macrobiotics | Tags: cooking, Diet Plan, Diet Program, food, health, healthy cooking, Healthy Dieting, healthy food choices, life force energy, making healthy food choices | Permalink.